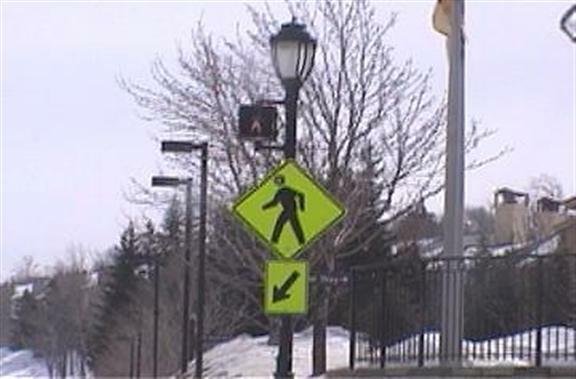 Notice that the pedestrian signal faces the roadway! This is the most creative use of a pedestrian signal I've ever seen. This light just blinks the standard white icon, intended to warn drivers of a busy pedestrian crossing.